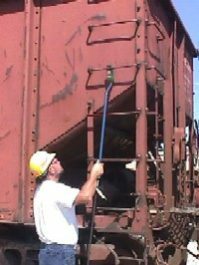 The Straightening Tool provides a safe , effective method of repairing bent plates or structural freight car components up to 5/8′ thick steel.The 36″ long knurled handle can be removed and rotated 90 degrees to provide complete access to bent components. 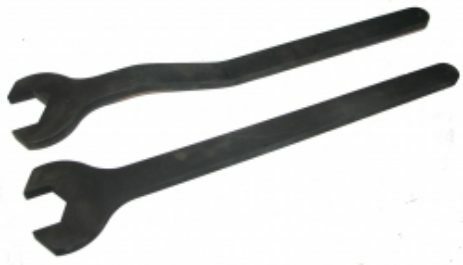 Made from heat treated toolsteel. 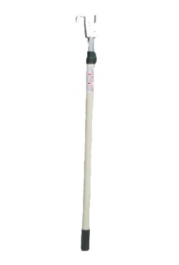 Kit comes with 3/8″ straightening head, 5/8″ staightening head, and handle. 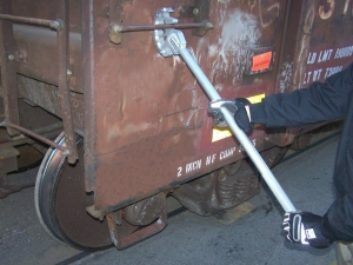 The Straightening Tool provides a safe , effective method of repairing bent plates or structural freight car components up to 5/8′ thick steel.The 36″ long knurled handle can be removed and rotated 90 degrees to provide complete access to bent components. 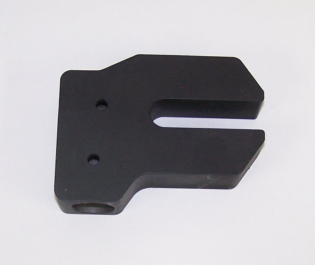 Made from heat treated toolsteel. 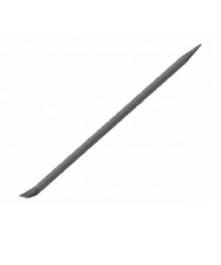 45″ Long Weight 20 Lbs. 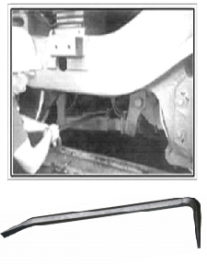 Straightener uses a 1-ton hydraulic spreader making for a quick and safe repair on bent hand holds. Requires the use of car body as a reaction point. 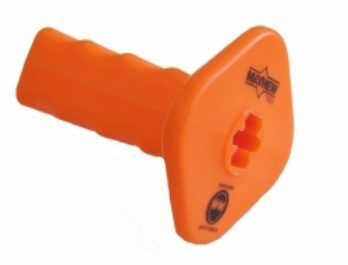 Also requires one 10,000 PSI pump and one hose to connect to the pump. Pump and Hose sold separately. 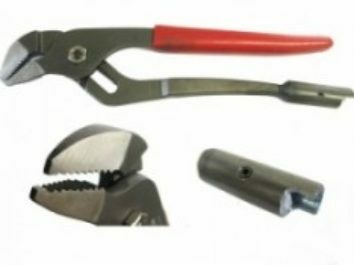 The tool is used for servicing locomotive brake rigging. 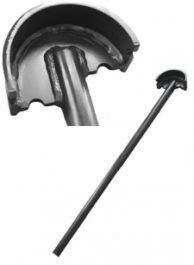 Some slack adjuster shafts are difficult to service because the locking pins are not easily accessible. 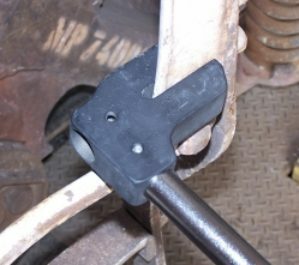 The Buggy Bar provides a safe , effective way to service slack adjuster with vertical pins. 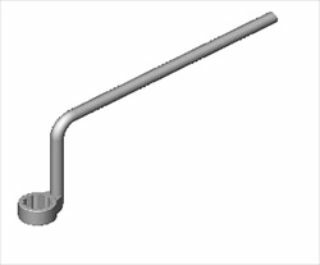 Brake Beam Mounted Cylinder Wrenches – These wrenches are designed for use on the compression nuts typically found on the adjusting rods on brake beam mounted air brake cylinders. The long handles provide the leverage necessary to loosen stubborn nuts. 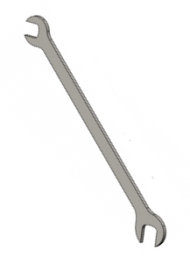 The hex open end wrench design provides a firm, safe grip on the nut. 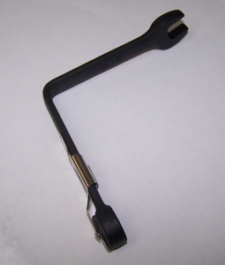 1-3/4″ open end and 2″ open end with offset.